It's Remembrance Day here in Canada, and if you haven't read my Quick Fix related to it yet, then you might find it interesting. Naturally, it's going to be a sombre and respectful day around here though, especially since I have family in the Canadian Forces. On a more positive note though, I'm making quite a bit of progress on the Metal Gear retrospective. I've completed 4 games in the franchise thus far and have their retrospectives all written up and ready to go, with a 5th game maybe an hour away from completion and the writing portion should take an evening to put together. It has been pretty fun thus far and I'm glad that I decided to take the plunge, because I doubt I would have gotten to experience the MSX Metal Gear games without it. It's also giving me a better appreciation for the series, but I'll leave any formal analysis for the retrospectives themselves. It's going to be pretty great and I'm putting quite a lot of work into this, so I hope that you guys enjoy when it's finally ready to go. First up this week, we have "The Sneaking Chair" by My Heart to Fear from their album Algorithm. Back when Weathered Steel was still on the air, this song just dominated their Top 40 playlist. Most songs only last a week or 2 before disappearing entirely, but "The Sneaking Chair" must have been the #1 song for at least a month. 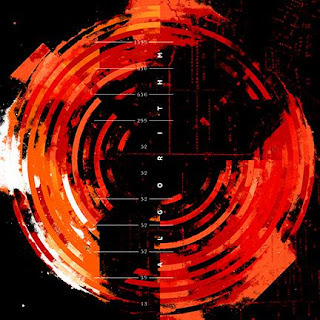 It's a pretty great song, I've been meaning to put it in the playlist for a really long time. In fact, the last time I put a My Heart to Fear song in the playlist ("4th Dimension Opera House", way back in May), I had originally intended to use "The Sneaking Chair" but made a last minute switch. On an unrelated note, I have no idea how My Heart to Fear comes up with their song titles, some of them are just all over the place. Some will be really straightforward ("Wish You Were Here", "Angst", etc) and then others are... well, "The Sneaking Chair". 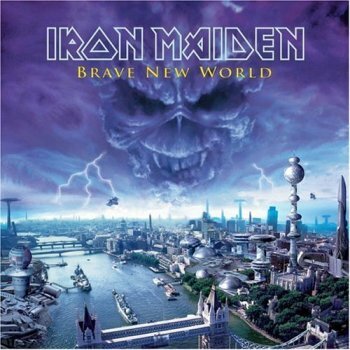 Secondly we have "Blood Brothers" by Iron Maiden from the album Brave New World. It had always been a bit of a secret shame for me that I considered myself a through-and-through metalhead, but wasn't really into some of the genre heavy weights, such as Iron Maiden or Judas Priest. However, since Weathered Steel shut down I have switched my Internet radio over to Metal Rock Radio, which plays the metal classics and modern metal all the time, and has been getting me quite into Iron Maiden. "Blood Brothers" might be my favourite thus far, it's just a really badass song that makes you want to sing along. As someone who likes Sabaton and Disturbed, you can probably tell that this sort of "comradery"/battle song really appeals to me and is making me want to have an "Iron Maiden week" where I just fire up Spotify and blow through their entire discography to find all their gems.